"You have got to see this footage from The Today's Show's story this morning about the 11-year-old Western Pennsylvanian kid who killed his father's girlfriend. It's a tragic story, obviously, and they get some perspective from the deceased woman's father. Imagine you're him: your 9-months-pregnant, 26-year-old daughter has just been killed by her boyfriend's 11-year-old kid, using a 20-gage shotgun given to him for Christmas. The story has understandably captured the attention of the national media. You're about to be interviewed for a story that will go coast to coast. What do you wear? 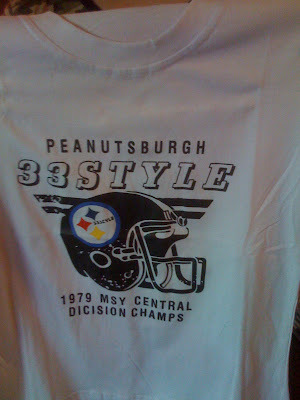 Clearly, you wear your #39 away jersey, and a Steelers hat so yellow it would be visible from space. But what really puts it over the edge for me is that he seems to have also pinned a Roethlisberger button on to the jersey..." -- Zach H.
--Well, the Panthers lasted all of one day as the #1 team in the nation before losing at the freaking Dunkin Donuts Center to Providence, 81-73. Ugh. They just insist on making a #1 seed as difficult as possible. As is the case in Pitt losses, Dejuan Blair had foul problems, exiting the game for good in the final minute. He led Pitt with 17 points and eight rebounds in 30 minutes. But the real story on the night was turnovers, and Levance Fields and Sam Young combined for nine, half of the Panthers' nauseating 18 in the game. Find me a barf bag. The Pens' 2008-09 season is starting to remind me of that episode of The Simpsons where a hurricane went through Springfield and destroyed everything near and dear to Ned Flanders, totally crushing his spirit. "Ned, we have some great news!" "What, did the rubble burn down?" 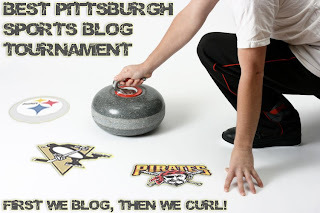 --The Pittsburgh Sports Blog Tournament is down to the Elite 8 over at Sean's Ramblings, and voting resumes on Wednesday. Tons of great stuff in there. Remind me again why Pitt's performance in this year's NCAA tourney is going to be different than all of their other previous NCAA tourneys? My feelings exactly; they get my hopes up and then lose to Providence? On to another topic - The Pens just look lifeless; it would not surprise me if they do not make the playoffs. I think Mr. Madden summed up what is needed for AO. I think the whole league should start "sending him a message" not just the Pens. That said, AO is pretty damn good. Last time I checked, about 3 minutes ago, Sid and A.O. have the same amount of points this season. Each has one scoring title and each has 1 MVP award. People want to come out and attack Crosby beacuse he wants to win, takes exception to headhunting cheapshotters (which he deals with game in and game out), and is constantly being told he is not as good as advertised. Hmm, he is tied for 2nd in the league in points and plays with Pascal Dupuis and Tyler Kennedy on his wings. I would say this guy has some level of talent. 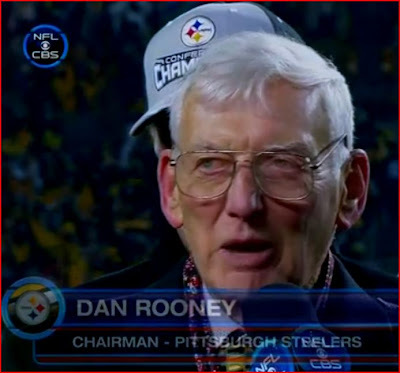 He just has humility and nobody likes a player that isn't going to showboat, especially not when he plays in Pittsburgh. Looks like the heat lamp at Arby's broke again. It's not a coincidence you see employees sitting down in the sandwich area.